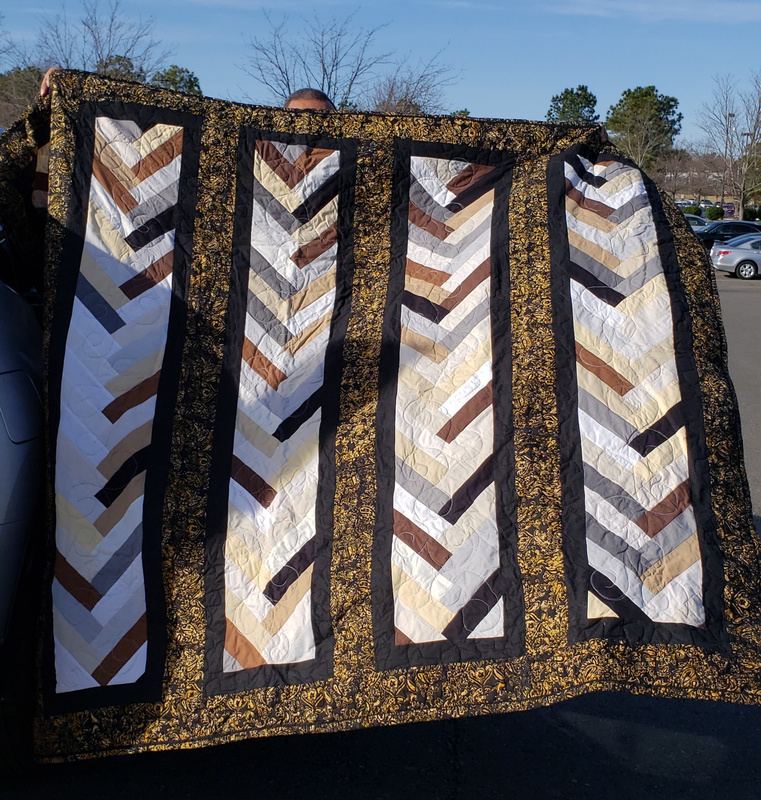 This is a picture of a quilt that I made for my godson and his beautiful bride. Last edited by pattipat; 02-10-2019 at 10:02 PM. Beautiful wedding gift for the happy couple. Lovely! That's a really nice gift. Very nice. I'll bet they love it. Beautiful quilt. Congratulations and best wishes to the newlyweds. They will be thrilled! Very lovely. Gorgeous quilt and I am sure the newly weds will treasure it. What a beautiful quilt. I'm sure they will cherish it forever. Very handsome quilt. I was wondering how to quilt a braid quilt and you came up with a good idea. A friend is sending me one to quilt and I'm uncertain how to quilt it. I think her pattern is just like this. Thanks for posting. Beautiful quilt! I'm sure the lucky couple are very pleased with it. Thanks everyone. I used a jelly roll and the binding tool to create the braids.